TAIPEI (Taiwan News) — China Airlines (CAL) ground crew members gathered in Taipei this afternoon to call for an end to a pilot strike organized by the Pilot Union Taoyuan as they accused EVA Air employees of interfering with CAL’s internal affairs. 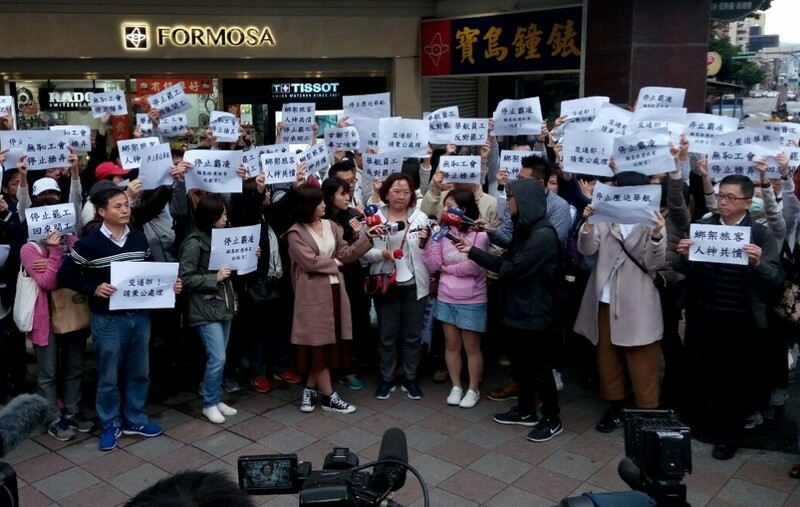 Today at 3:30 p.m., CAL employees began to gather in front of the Dongmen Market in Taipei’s Da’an District to protest against a pilot strike being led by the Pilot Union Taoyuan and accused staff of rival air carrier EVA Air of manipulating the situation. CAL ground crew members gathered this afternoon to call for an end to a strike being held by over 400 pilots from their airline. Protestors complained that the strike organized by the CAL branch of the Pilot Union Taoyuan had brought much trouble and inconvenience to employees and the public, and they denounced them has having no right to represent the company.